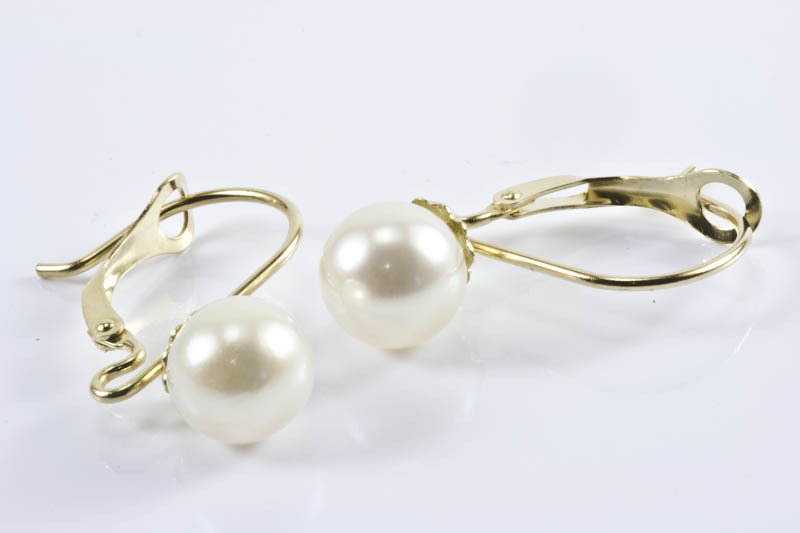 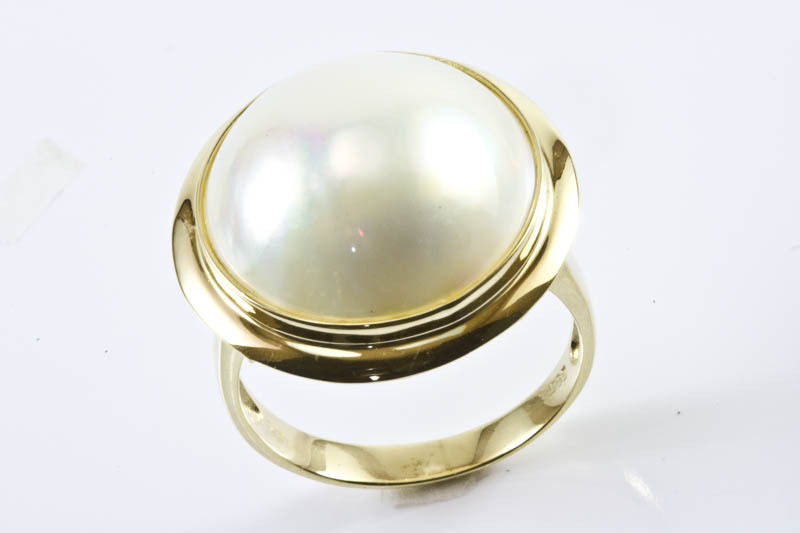 17.5-18mm Mabe Pearl Ring, 14K.Yellow Gold. 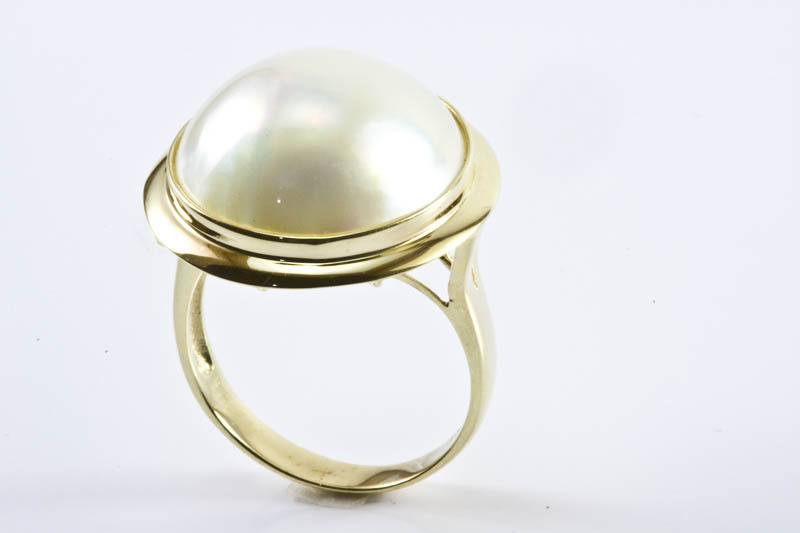 The color is white, with pink and rainbow overtones. 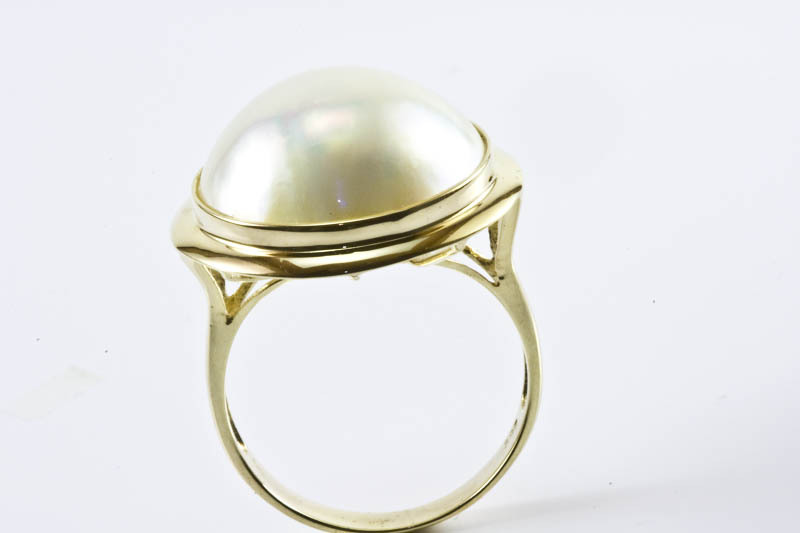 The luster is fine and the surface is perfect. 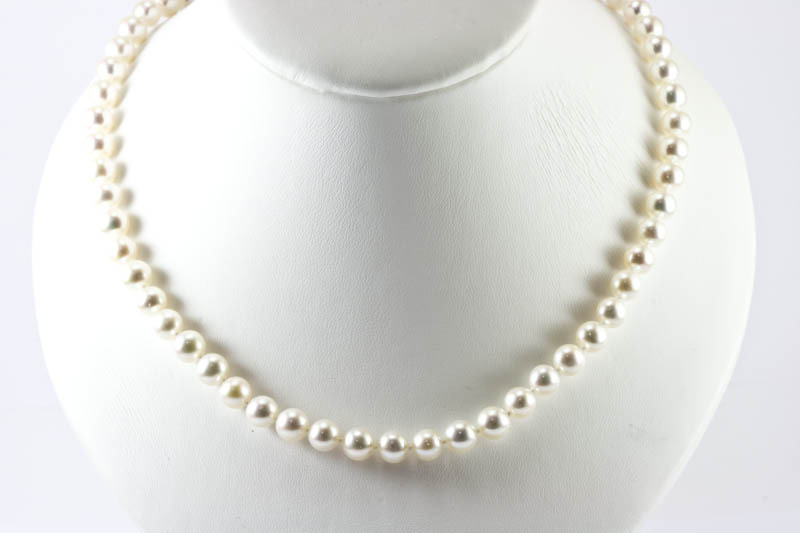 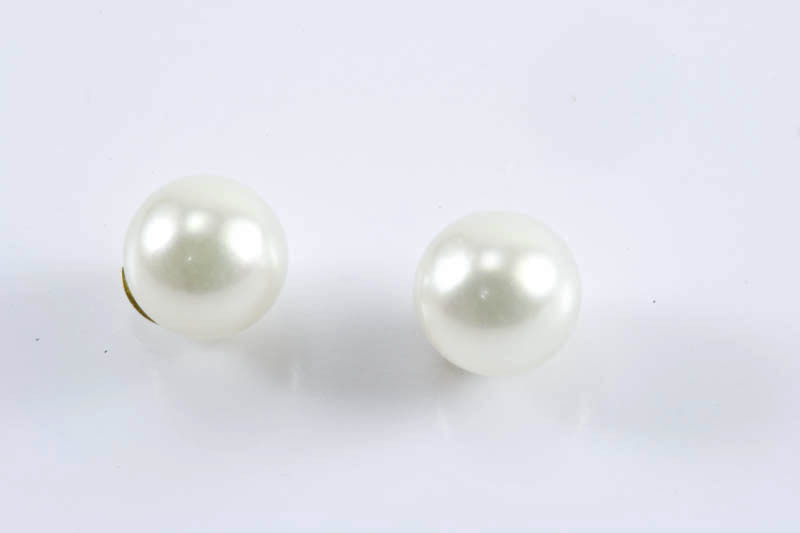 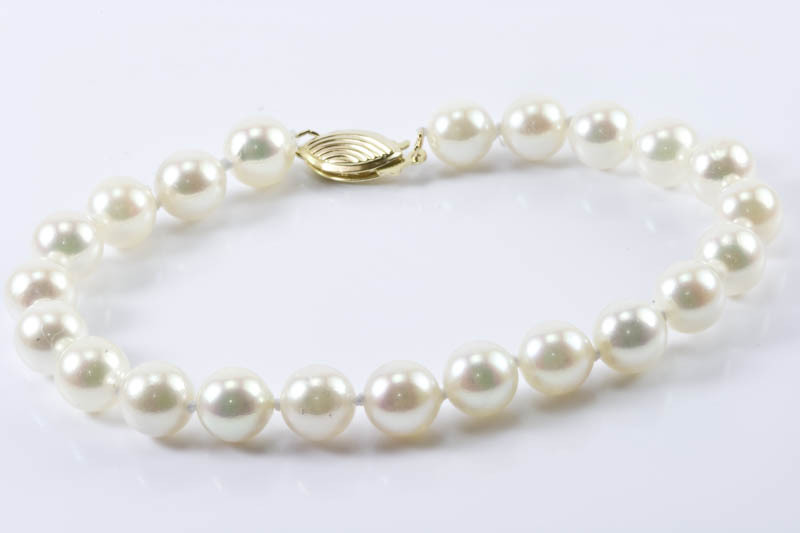 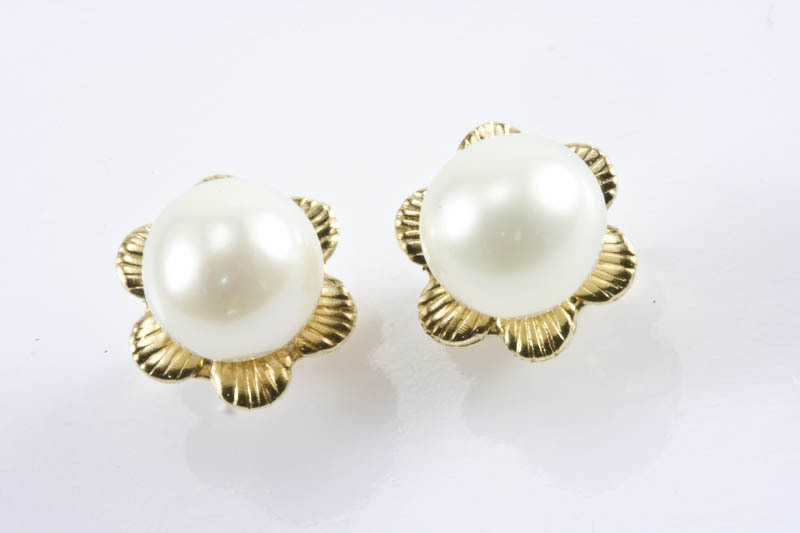 Mabe Pearls are assembled cultured Blister pearls. 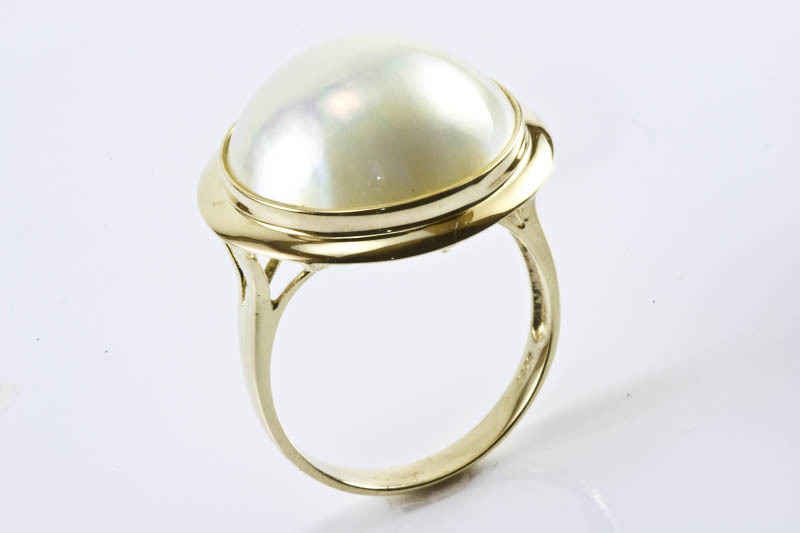 The Blister pearl is cultured by gluing against the inside of the shell a half-bead nucleus.